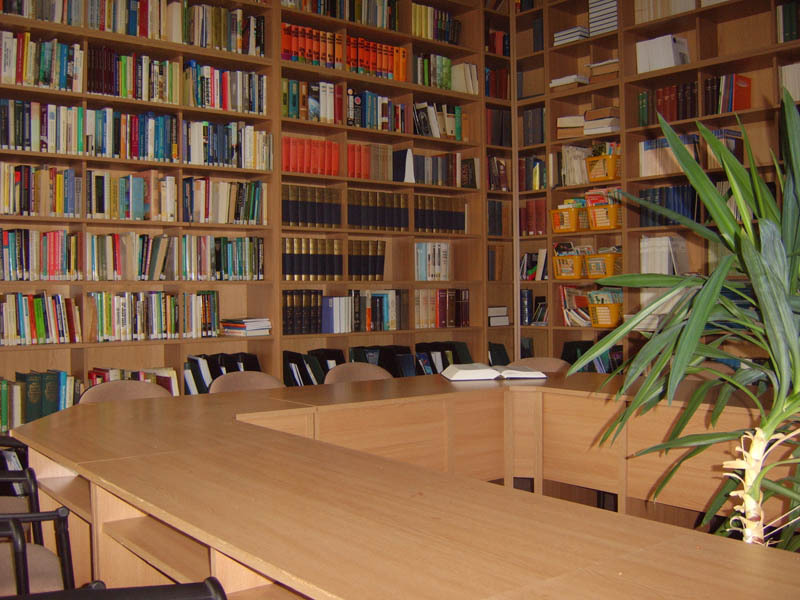 Click on image to enlarge The Library has valuable and rich collection in the fields of geography and regional studies which is one of the biggest regarding these disciplines on the territory of the Hungarian Plain. The Library is partially functioning as a public library. The size of book collection amounts up to 15 thousand volumes. 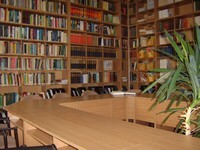 The Library is specialized in the fields as follows: geography, regional science, economics, computer sciences and IT, sociology, history, environmental management and ethnography. The Library subscribed for nearly 90 domestic and 35 foreign periodicals and newspapers, but their number, due to financial restrictions significantly decreased in the recent years. A special English language collection has been formed on the basis of English language periodicals and several hundreds of books acquired. The Békéscsaba Library was enlarged by an Information and Documentation Centre of Hungarian-Serbian Regional Development in year 2006..